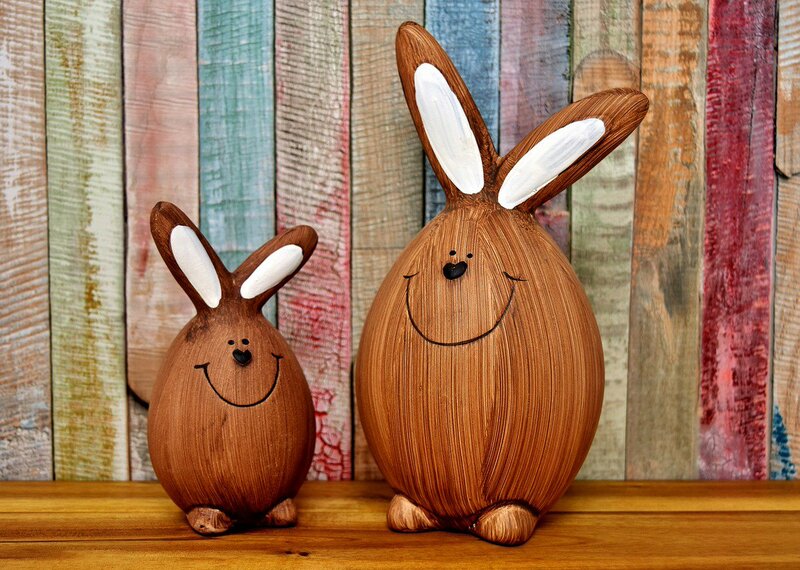 Wood is one of the oldest building materials we know, and one of the most beloved. It's a love affair that has lasted -- like hardwood itself --down through the centuries, from the log cabins of earliest America into the early 21st century. The story of our architecture is literally written in wood -- underfoot in planks polished by thousands of footsteps; on walls enriched with carved hardwood mouldings and paneling; even on ceilings, where load-bearing structural beams have assumed decorative roles, too. "We are a country blessed from the beginning with an abundance and variety of hardwoods," says Linda Jovanovich, executive vice president of the American Hardwood Information Center. "But there are other reasons so much hardwood has been used in the building of America." "Hardwoods are versatile," Jovanovich points out. "They come in many species, colors, and patterns of graining. They're easy to work - hence all the exquisite carvings. And they last! Hardwoods are durable which is why we still have wonderful old homes and public buildings that date back to the beginning of this country." Or look as if they do. Built in l908, The Hermitage Museum sits in 12 acres of gardens along the Lafayette River in Norfolk, Va. But it could have come from l7th-century England, with its wide-planked oak floors and wealth of hand-carved oak mouldings, wall paneling, and doors. Originally built as a summer home by wealthy New Yorkers William and Florence Sloane, the Hermitage is a 40-room work of art, thanks to the remarkable skills of three master woodcraftsmen who for three years, lived and worked in a turreted wood shop on the property while the house was under construction. Now the Hermitage's heavy oak-and-iron doors are open to the public as a school of visual arts and a renowned museum with art and furnishings from the l7th - early 20th centuries. Learn more at the Hermitage Museum. Down in Galveston, Texas, the Bishop's Palace (aka Gresham House) would stand out, even if its fairytale towers didn't soar more than three stories above the below-sea-level landscape. 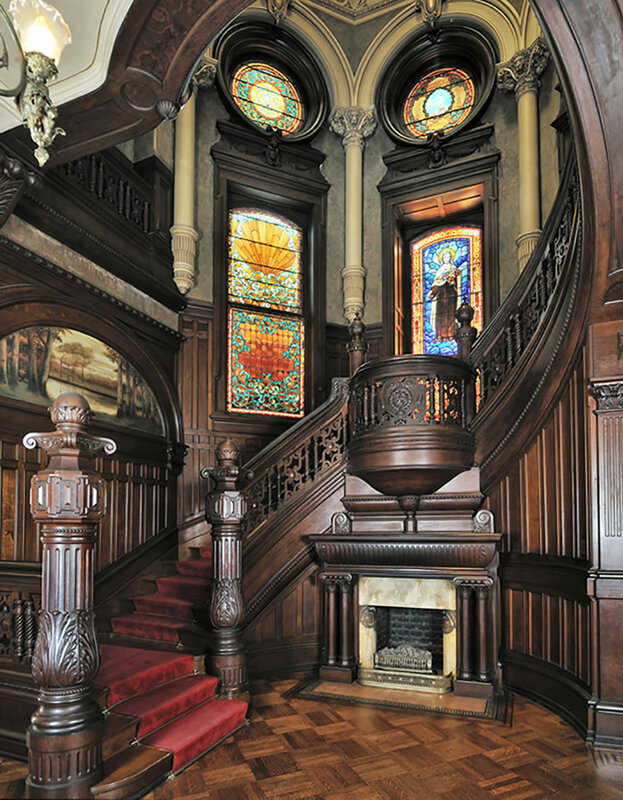 The spectacular mansion is a paean to beautiful hardwoods, from the oak-paneled entry hall, with its l4-foot ceilings, to the black walnut bookcases in the library, inlaid oak, cherry hall floor, and soaring oak staircase, which was carved and shipped from a famed woodcarving center in Cincinnati, Ohio. Originally built by Colonel Walter Gresham for his wife and their nine children and completed in 1892, the spectacular mansion later housed the local Bishop, becoming known as the Bishop's "Palace." "Fortress" might be more fitting. Through the Great Storm of 1900, this dazzling structure stood virtually unscathed, and remains Galveston's grandest and best-known building. See more at www.galveston.com/bishopspalace/. Photo courtesy of Galveston Historical Foundation. Photographer: David Canright. Not all hardwood installations must be old to be noteworthy. Skip ahead to the 21st century and 2005, when the Music Center at Strathmore in Baltimore, Md., debuted its state-of-the-art acoustics. Acousticians had suggested that the new hall be built using as much natural material as possible. The result: a rich combination of yellow and red birch wood that sweeps across the Centre's vast floor and up its soaring walls. Their reasons were more than sound-deep. "A hard surface is a hard surface," explains Mark Grabowski, Strathmore executive vice president. "We could have used cement - many of Europe's Old Master concert halls were built of cement. But we are talking about 'psycho-acoustics.' People just feel that natural wood makes the sound warmer and richer." Critics agree: The Strathmore has been applauded (by the Washington Post) as "The best place in the Mid-Atlantic for listening to classical music." Ditto for other kinds of music, from jazz and pop to country and rock! "Wood sets the envelope for the music,"
Grabowski says. See what he means at http://www.strathmore.org/. In historic homes and modern cultural sites all across this country, the stage has been set by American Hardwoods. Warm to the touch, soothing to the ear, comforting to both eye and psyche, timeless hardwood will go on creating the environments Americans most want to be in.